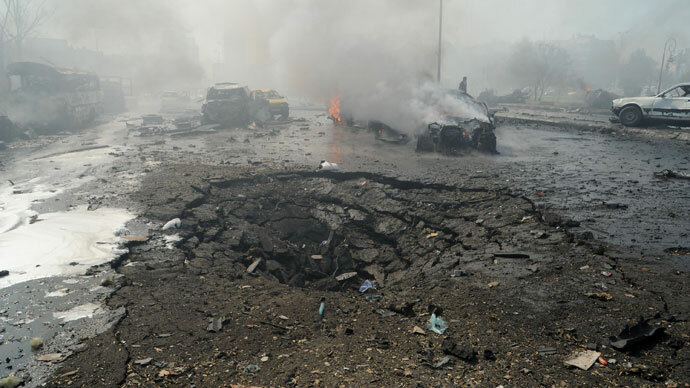 Syrian Prime Minister Wael Halqi survived an attempted bombing assassination in central Damascus on Monday. Ban Ki Moon, the UN Secretary General, has condemned the attempted assassination, calling it a “terrorist attack”. 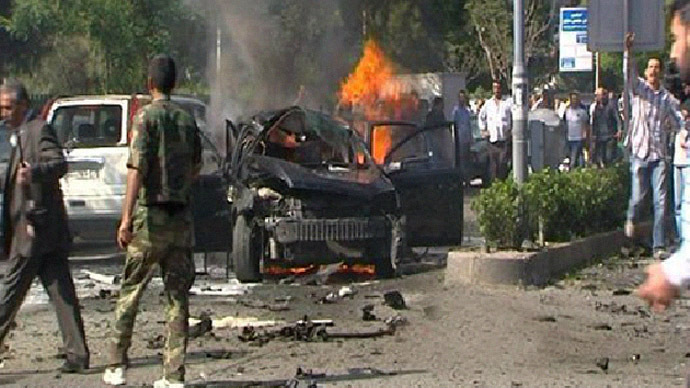 The explosion struck near a school in a southwestern district of Damascus, and at least ten were killed in the attack. The attack was reported by Syrian state television. "The terrorist explosion in al-Mezze was an attempt to target the convoy of the prime minister. Doctor Wael al-Halqi is well and not hurt at all," the report said. “The Secretary-General condemns the terrorists attack on the convoy of Srian Prime Minister Wael al-Halki in Damascus earlier today, which resulted in deaths and injuries,” Ban Ki-moon’s press office said in a statement. At least 19 people, including one of Halqi’s bodyguards, were killed and 25 others were wounded in the attack, a local journalist, who requested anonymity, told RT. 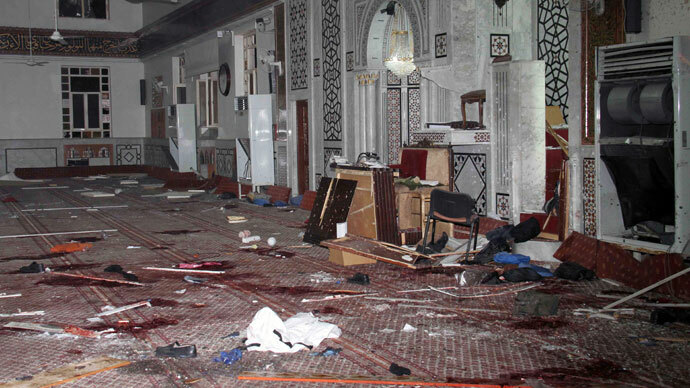 Syrian media reported that up to 10 people may have been killed in the explosion. Halqi's driver and a second bodyguard were seriously wounded in the explosion, AFP said, quoting the Syrian Observatory for Human Rights. 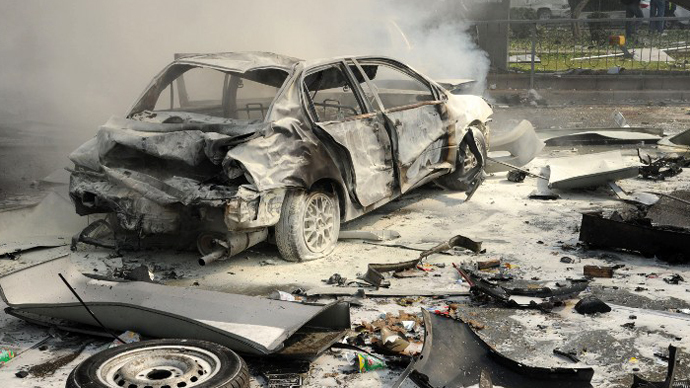 An explosive device was placed under a black BMW vehicle that was parked along the route of Halqi’s convoy. The explosion took place near a kindergarten and a school. No children were killed in the attack, but two were injured, the journalist said. Despite the attack, Halqi continued on to a planned meeting with an economic committee, state TV station Al-Ikhbariya reported. 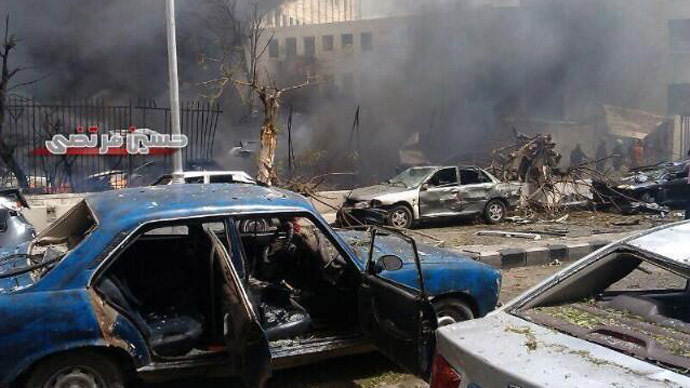 He condemned the terrorist attack in Damascus at the meeting of the Cabinet’s Economic Committee after the explosion. He said that the recent attacks were “evidence of the bankruptcy and frustration of the armed terrorist groups and the powers backing them due to the victories of the Syrian Arab Army,” according to SANA news agency. Halqi replaced former Prime Minister Riyad Hijab last August, after Hijab was sacked and was later rumored to have fled to Jordan, state television reported. The neighborhood of Mezze, where the blast occurred, is an upscale area home to many government and military institutions and senior Syrian officials. Until recently the neighborhood was relatively untouched by violence, but in March Syrian rebels began pushing into government-held areas, with a number of car bomb attacks shaking previously secure neighborhoods.